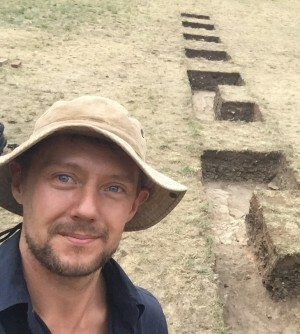 Daniel is a professional archaeologist, heritage advisor and recent graduate from La Trobe University. He has been working in consulting archaeology since 2017, working on both historical and Aboriginal sites in Melbourne and surrounds. Daniel has also recently undertaken a project working on an early convict site in New Norfolk, Tasmania, investigating the uses of space for incarcerating and managing physically disabled and mentally ill convicts and emancipists. Daniel is continuing to expand his archaeological experience and education by continuing his studies with Flinders University and though a volunteer project in São Paulo, Brazil.